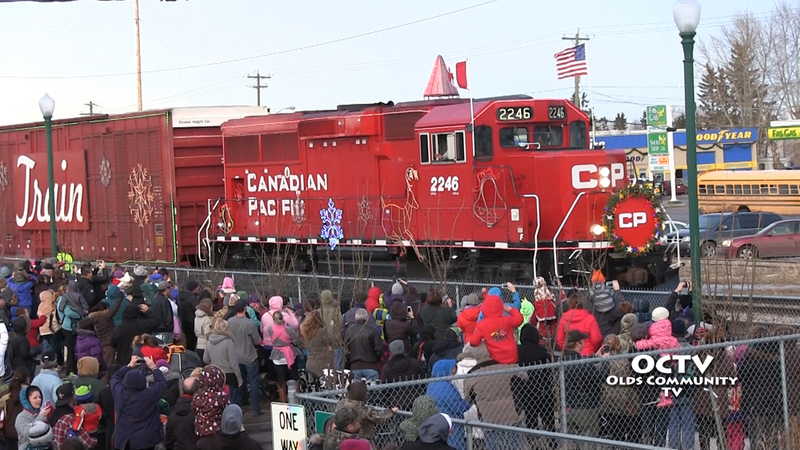 On December 10th the Canadian Pacific Holiday Train made a stop in Didsbury to entertain people of all ages and raise funds for the Mountain View Food Bank. 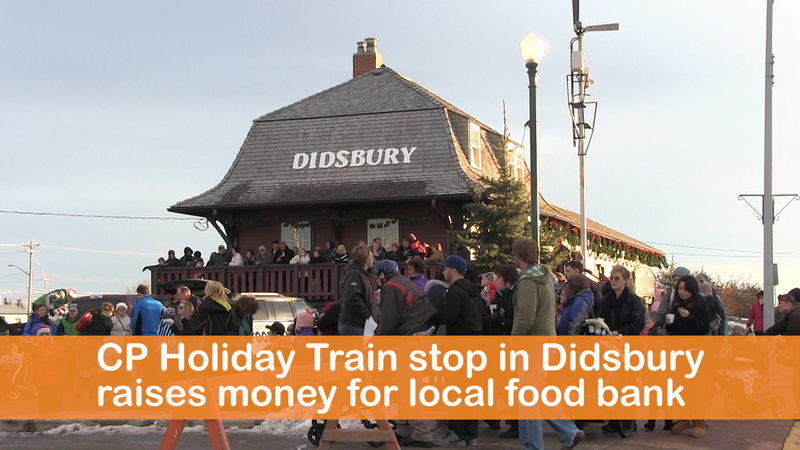 The people who attended donated food items to the food bank volunteers who were on hand. 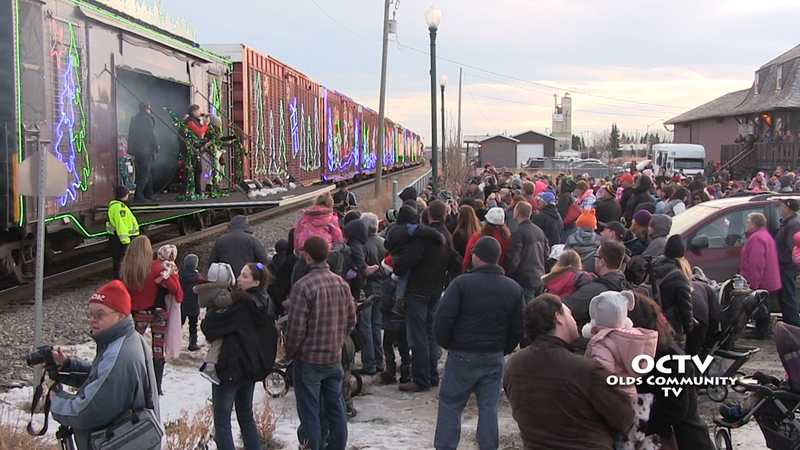 Over four thousand dollars was also donated to the local food bank. 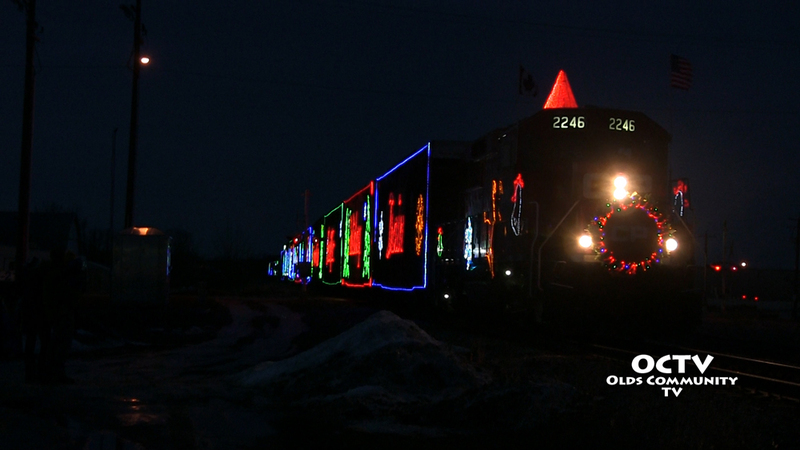 Since the program started in 1999, the CP Holiday trains have covered over 100,000 miles in the U.S. and Canada and have raised close to $9.5 million and 3.3 million pounds of food for community food banks.